Auto Tab Automatically adds a “Tab Link Selector” to Every Chart Window (similar to the default Instrument and Interval Links). Change or Select the Tab of Any One Window, and All Other Windows (set to same Linked Color) will Change to that Same Tab. This can now greatly reduce the real estate required for organizing and viewing your charts. Possibly, eliminate the need for multiple workspaces all together. AutoTab is extremely easy to use, will save you a ton of time, and will provide you the ultimate in convenience. Built in Configurable Timer to Enable Auto Timed Tab Sequencing! DrawBar Ultimate – Customizable Drawing, Color and Stylizing ToolBars. 12 Custom Drawing Tools w/Unique Properties/Rendering and Enhanced Right Click Context Menus. Draw, Show, Hide, Color, Style, Modify Any Manually Drawn Object w/Couple Clicks. Extremely Configurable! Extensive Options! 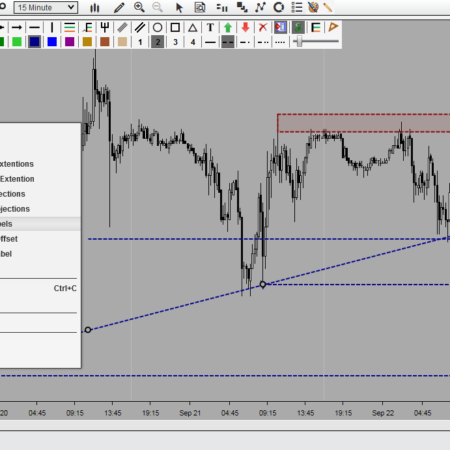 Specifically designed for the ease and convenience of drawing on your charts. Draw, Show, Hide, and Modify Color and Styles of Any manually drawn object with a single click. Perfect for both the novice and/or expert trader. Extremely easy to use, saves time, and provides the ultimate in convenience and technical analysis! 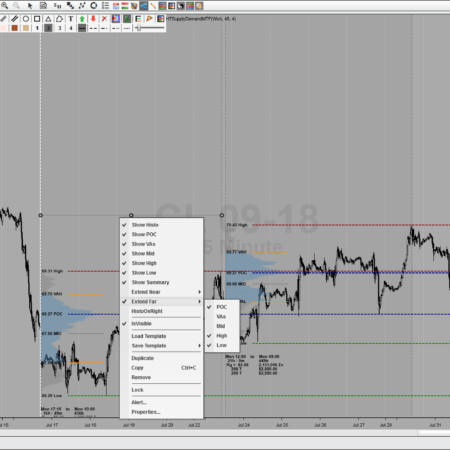 There is currently no other tool like it for NinjaTrader 8 in the market place today! 12 Custom Drawing Tools | Unique Right Click Context Menus | Quick and Easy Property Changes! 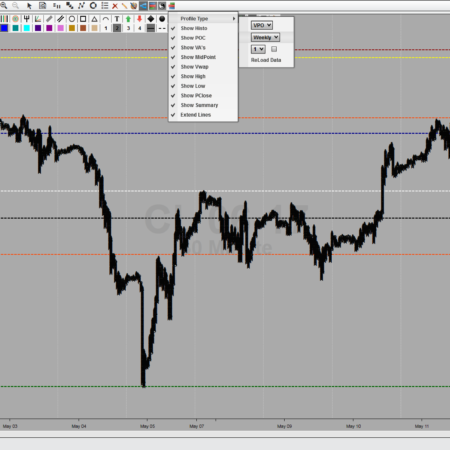 – Add a Customizable Drawing ToolBar to Any/All NinjaTrader 8 Charts. – Single Click Pop-Up Window for Easy User Selectable Options and Adjustments. 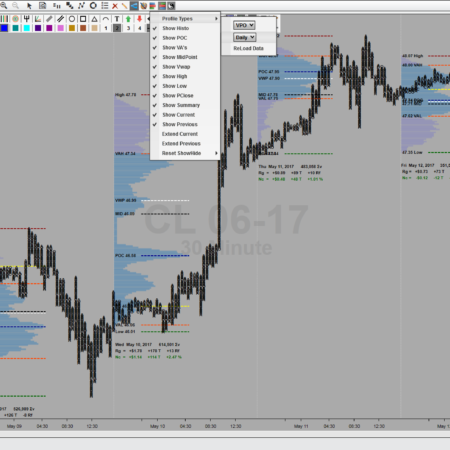 Display Supply and Demand Zones/Levels/Regions of any Data Series, on Any Chart! ToolBar DropDown Icon for Easy User Selectable Options and Adjustments! Volume Profile (VP) is an advanced charting technique that Displays Trading Activity (Volume), accumulated over Time (a specified period of time), at every tradable Price (between the time period's High/Low). This technique plots a histogram on the chart meant to reveal dominant and/or significant price levels based on Volume at Price over Time. Both High and Low Volume Nodes (Price Levels) become easily visible to the trader. Configuration Settings allow for a multitude of choices and ways to view Profiles of Unique Revolving Durations, or from a Specified Start Date, or even View a Profile Specified Between Any 2 Dates. – Value Area (VA) – Specified percentage of all volume traded during Specified Time Period. 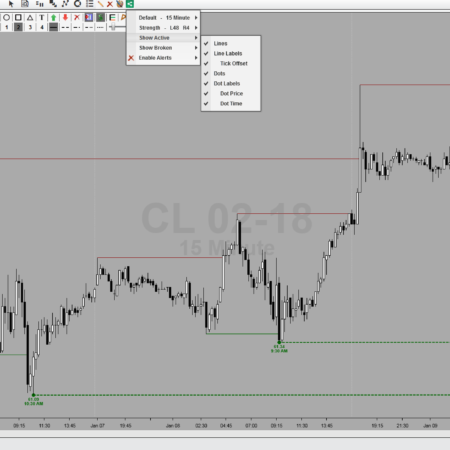 – Value Area High (VAH) – The Highest Price level within the Value Area. – Value Area Low (VAL) – The Lowest Price level within the Value Area. – Point of Control (POC) – The Price level for the time period with the Highest Traded Volume. – Volume Weighted Avg Price (VWAP) – Volume Weighted Average Price of Specified Time Period. 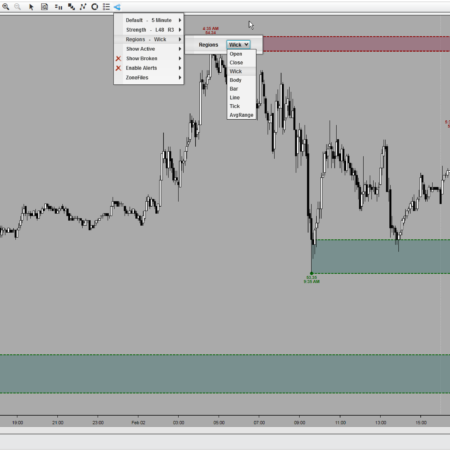 – Previous Close (PC) – Last Closing Price Before Volume Profile Start DateTime. – Profile High (HIGH) – The Highest reached Price level during the Specified Time Period. – Profile Low (LOW) – The Lowest reached Price level during the Specified Time Period. – Profile MidPoint (MID) – The Midpoint reached Price level during the Specified Time Period. Volume-Weighted Average Price (VWAP) is the ratio of volume traded at price, to the total volume traded, over a particular time horizon. VWAP is often used as a trading benchmark by investors who aim to be as passive as possible in their execution. The aim of using a VWAP is to ensure that the trader executing the order does so in-line with volume on the market. 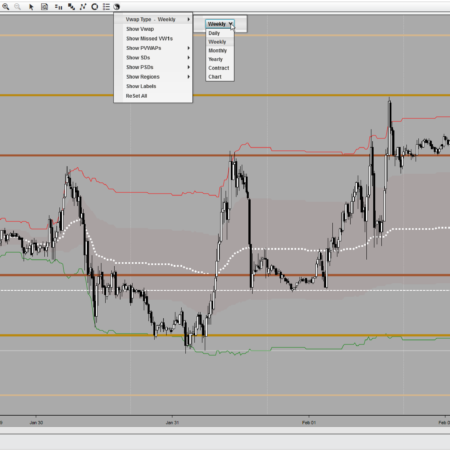 VWAP Values/Plots Remain Consistent (Are the Exact Same) Across Every DataSeries! 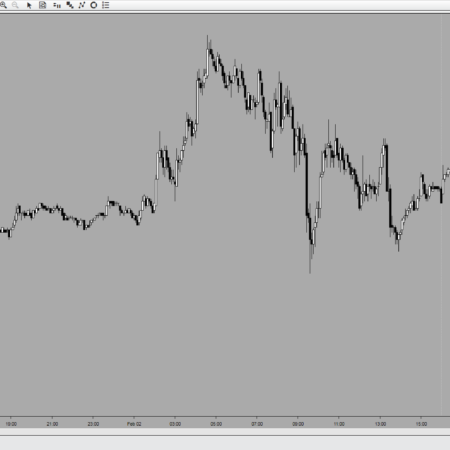 Accurately Display and Trade Off of The Exact Same Values On All Your Charts!